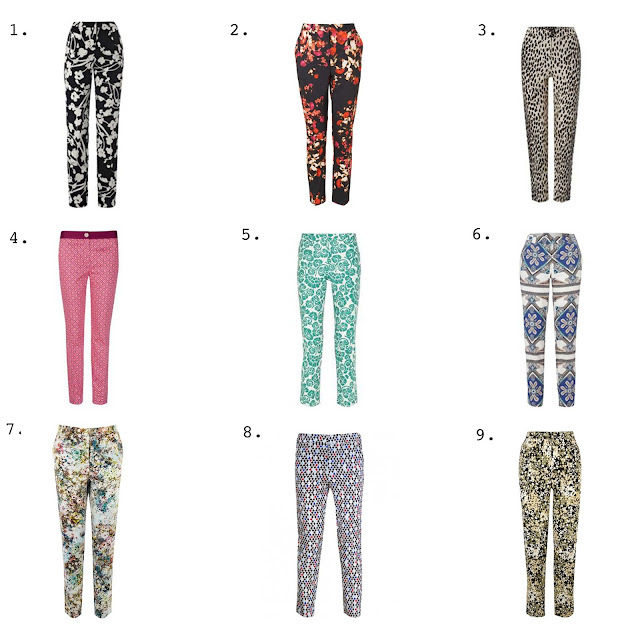 Printed trousers are one of my favourite Summer trends. I have already added number 6 to my wardrobe and hope to add number 2 very soon! For this week's "Friday Faves" post, i decided to hunt down my favourite printed trousers for you.